It towers over even the greatest of violin concertos. Pinchas Zukerman plays (and conducts) Beethoven's Violin Concerto. "His violin playing is bright and sinuous, and he conducts with an abundance of spirit," says The San Francisco Chronicle. Both sides of Zukerman's talent will be on full display in a program that includes Dvořák's spirited Seventh Symphony; the audience will also be treated to Carl Maria von Weber's Overture to Der Freischütz. Zukerman has remained a phenomenon in the world of classical music for over four decades. His musical genius, prodigious technique and unwavering artistic standards are a marvel to audiences and critics. Devoted to the next generation of musicians, he has inspired younger artists with his magnetism and passion. His enthusiasm for teaching has resulted in innovative programs in London, New York, China, Israel and Ottawa. The name Pinchas Zukerman is equally respected as violinist, violist, conductor, pedagogue and chamber musician. 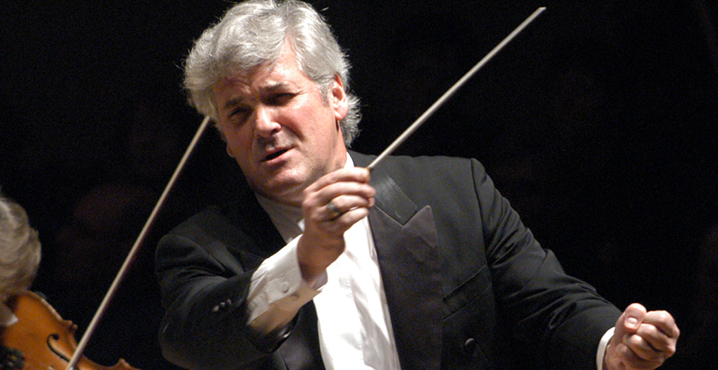 Zukerman's extensive discography contains over 100 titles, and has earned him 2 Grammy awards and 21 nominations. For more than seven decades the Royal Philharmonic Orchestra (RPO) has been at the forefront of music-making in the UK. Its home base since 2004 at London's Cadogan Hall serves as a springboard for seven principal residencies as well as more than forty-five concerts per year in long-term partnership venues across the country, often in areas where access to live orchestral music is very limited. With a wider reach than any other UK large ensemble, the RPO has truly become Britain's national orchestra. Join us for the Bank of America Classical Overtures, held an hour prior to each classical concert. These interactive presentations are hosted by Maestro George Marriner Maull of New Jersey's Discovery Orchestra and are free to ticket holders.